Melanoma can be the most serious skin cancer and comprise about five percent of skin cancers diagnosed annually. Melanoma is the most common form of cancer for young adults 25-29 years old and the second most common form of cancer for young people 15-29 years old. The overall 5-year survival rate for patients whose melanoma is detected early, before the tumor has spread to regional lymph nodes or other organs, is about 98 percent in the US. The survival rate falls to 62 percent when the disease reaches the lymph nodes, and 16 percent when the disease metastasizes to distant organs. A person’s risk for melanoma doubles if he or she has had more than five sunburns. One or more blistering sunburns in childhood or adolescence more than double a person’s chances of developing melanoma later in life. Skin cancer is the most common malignancy diagnosed in the United States. There are 3.5 million cases each year diagnosed in two million people every year. To put this incidence in perspective, there are more skin cancers than cancers of the breast, prostate, lung and colon combined. One in five Americans will be diagnosed with skin cancer. 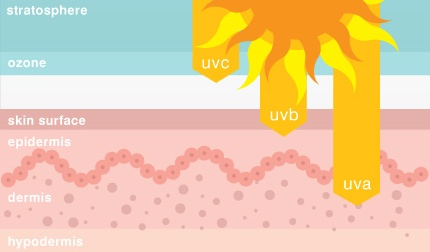 Skin cancer risk is related to the amount of melanin, or pigment, in the skin. Therefore, they tend to be most common in red/blond hair and blue eyes. Risk is related to sun exposure also. For example, skin cancers are more common in Scandinavians who emigrate to Australia than in those who do not. The sun exposure risk is cumulative for most skin cancers. Regular daily use of an SPF 15 or higher sunscreen reduces the risk of developing squamous cell carcinoma by 40 percent and the risk of developing melanoma by 50 percent. There are 32,000 cases of melanoma diagnosed each year and 8500 deaths per year. The incidence has more than doubled in the last ten years. Prognosis depends on stage of disease, which is related to depth. There is a higher likelihood of spread and therefore a worse prognosis than non-melanoma cancers. For any type of skin cancer, treatment depends on size, location and any other previous treatments. For most lesions, various surgical treatments and radiation therapy have roughly equivalent cure rates. Surgical resection is usually chosen because of cost and expediency. However, radiation therapy for facial lesions generally has a better cosmetic outcome. Radiation therapy as a primary treatment should be considered for lesions of the ear, lip, eyelids, large lesions, recurrent lesions, multiple lesions, or lesions with local lymph node involvement. Radiation treatments are safe and effective for skin cancers, but may involve several weeks. Other treatment options include cryotherapy to freeze the lesion and topical chemotherapy. Melanoma treatments can vary depending on stage of disease. The important things to notice about any skin lesions is as easy as ABCD. A is for appearance, which means is it thick and piled up looking or flat. B is for borders which means is it a perfect circle or does it have irregular edges. C is for color. Is it red, black , blue ,etc and does it change colors over a period of time. D is for diameter. Is it growing? 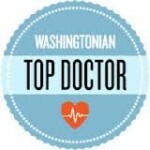 If you are not sure of a spot on your body, see your doctor for evaluation . Early diagnosis is the key to cure. 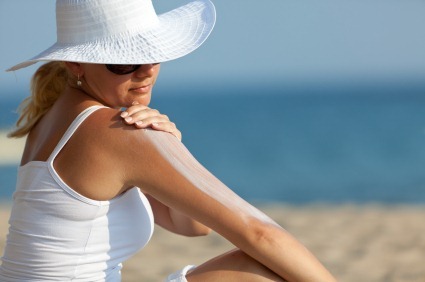 Prevention of skin cancers is one of the simplest cancer preventions— avoid excessive sun exposure! This includes tanning booths as well.